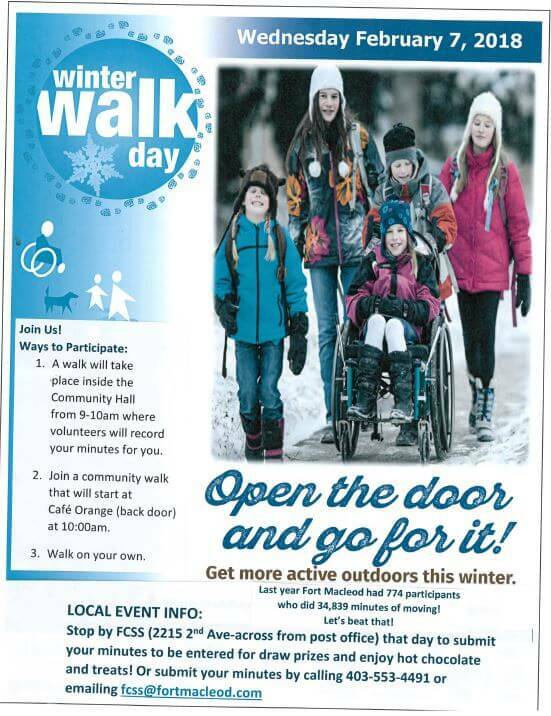 Join others in Fort Macleod for Winter Walk Day. Last year we had 774 participants who did 34,839 minutes of moving! Lets beat that!